Stress is so harmful that it can seriously harm physical health, derail careers of youth before they begin and destroy marriages in their peak. And no wonder Allah, as part of his complete guidance, has given Muslims, Islamic strategies to avoid and overcome stress. 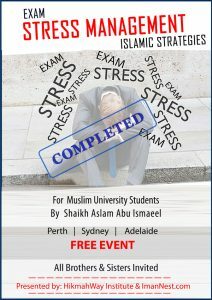 Sheikh Aslam AbuIsmaeel has a rare combination of education required to present to us the Islamic strategies for stress management. His Islamic studies at The Islamic University of Medina, as well as his studies about marriage, parenting, time and life management, present a unique and un-missable approach to the topic. 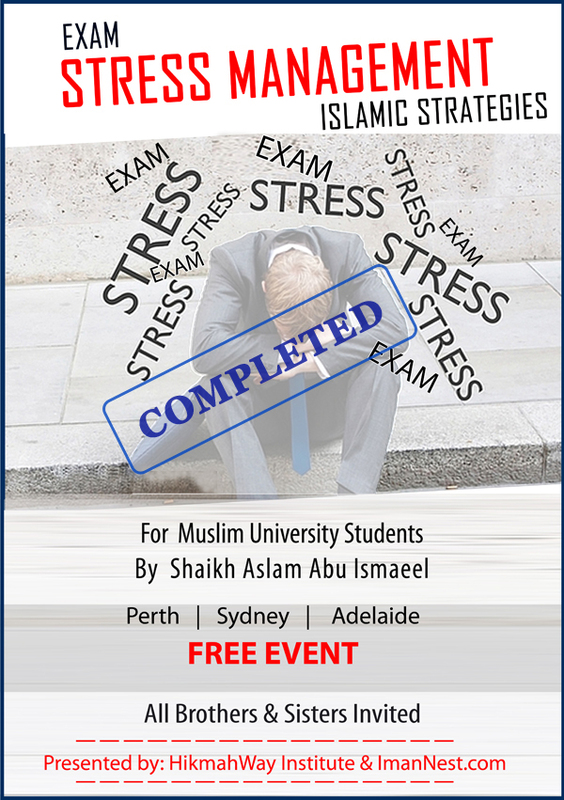 Although this is primarily for Muslim students stress management, other Muslims in all walks of life will hopefully Insha Allah find this talk to be a career, marriage or life saver.